Should we be worried about the children? Is it true? Well, let’s break it down a little. Let’s start with this chart here. It’s home-ownership rates in Australia. Well the first thing is that, if you look at the ‘All’ line, home-ownership rates in Australia have been falling. They’re down from a peak around 72% in the early 90s, to about 68% now. Probably not. Home-ownership might be a nice ideal at an individual level, but do we really want everyone to own a home? I think we want everyone to be able to own a home if they want to, but sometimes renting just makes sense for people. So having rental properties in the social mix makes sense. The other thing to remember is that the opposite side of the ownership coin is investorship. If a property isn’t owned by an owner-occupier, then it’s owned by an investor (leaving public housing to the side for the moment). So a fall in ownership rates really points to a rise in investorship rates. And what do I think about that? What does someone who’s devoted her life to helping people achieve financial freedom through property investing, who’s put all her time and energy into creating systems that anyone, no matter what their skills or educational background, can use to create the life they’re dreaming of, what does she think about that? I’m stoked! I’m probably largely responsible for the increase in investorship we’ve seen in recent years. What we’ve seen is more and more people realising that property can be an ideal complement (or replacement!) for their income. For the last thirty years property has been a rock of stability in stormy financial seas. And we just don’t look at property the same way anymore. It used to be just a place to live. Now it’s an investment. It’s a place where we can use our energies and ingenuity to create value. When it comes to property, we’re just a lot savvier than we used to be. And to me, that’s what the increase in investorship is all about. Savviness is a good thing. And really, a 4 percentage point fall in home-ownership rates over 30 years – that’s not all that much to write home about is it? But then, as always, the devil’s in the detail. And the interesting detail here is how that 4% fall is shared around our different age cohorts. And the truth of it is that our children have borne a much bigger share. Home-owernship rates fro 25-34 year olds have fallen from about 61% in 1981, to around 48% in 2011. Partly this is about lifestyle factors. 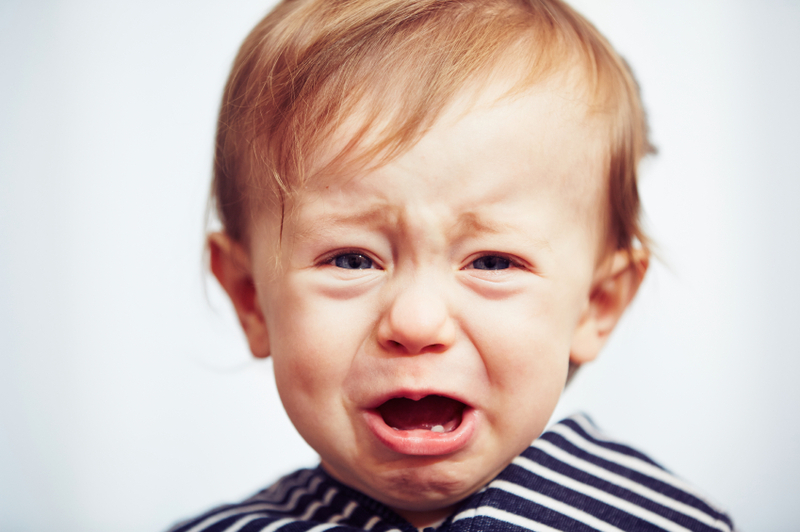 40 is the new 30, and Gen X and Y pushed back settling down and having a family to much later in life. They were living in sharehouses and renting for much longer, with many only starting to turn their mind towards home-ownership towards the end of that age bracket. And there was also a focal shift in our cities. The ideal drifted in from a quarter acre block in the suburbs to somewhere funky in the inner-city. For the lifestyle generations, renting was the only option. But let’s not kid ourselves. We’ve also seen similar sized falls in the 35-44 year old bracket. 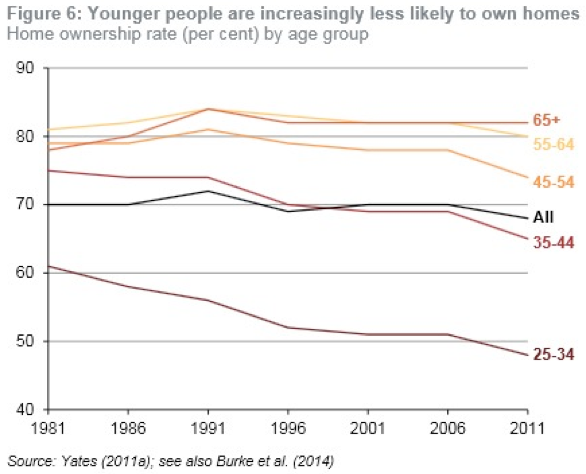 And at the same time, ownership rates for 65+ year olds actually increased, while 55-64 year olds pretty much held ground. So there’s been a generational shift in home-ownership. And it’s the same story with investorship. 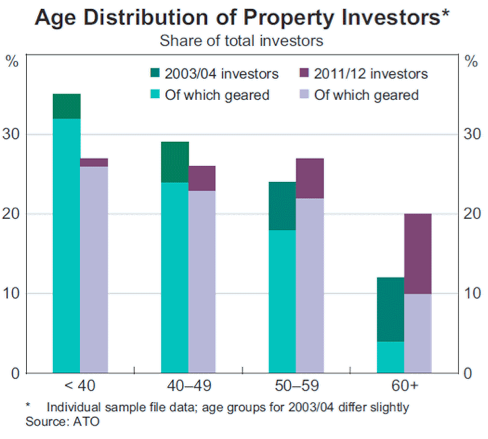 Over the last ten years, the age distribution of property investors has shifted towards older cohorts, though it is still concentrated in 40-60 year olds (more than 50% in that 20 year age bracket). So is property getting away from younger Australians? It is definitely getting harder. Property prices are getting more expensive, and young people have to come up with bigger deposits and devote more of their income to paying off mortgages than their parents did (though they live in better houses with more mod cons). But what exactly is the problem here? I’ve heard a lot of do-goody commentators say that investors are pricing first-home buyers out of the market. But that’s not what’s happened here. Property has become more expensive, and so it’s become more concentrated in the hands of those people who can afford it – people in their peak earning years and with accumulated wealth. The question then is why has it become so expensive? As I’ve written before, a lot of it has to do with supply. Governments have been dragging the chain with land release and development, and we just haven’t been building enough houses. This is what has driven the prices of houses higher, and as a result, concentrated property in older hands. Price rises have driven a changing ownership mix, not the other way round. It’s not the oldies fault that they’ve accumulated wealth and planned for their retirement. Look, I’m not saying don’t worry about the kids. I think we do want to make sure that everyone who wants to own a home can own a home, regardless of their age. That’s the kind of country I want to live in. But don’t be too quick to point the finger at investors.